Happy Halloween! Hope you don’t mind an itch.io update in your treat bag. Today we’re launching brand new browse pages. 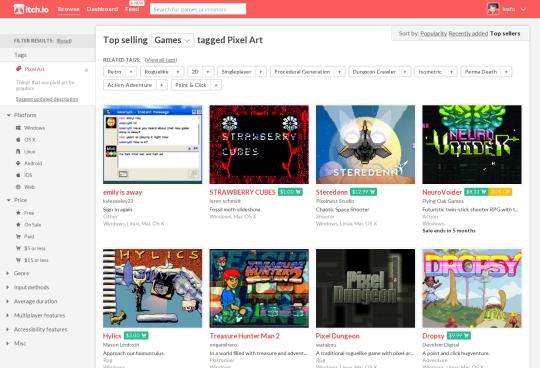 Since we’ve got over over 20,000 games now, making it’s easy to browse through them is one of our top priorities. Now you can effortlessly find Oculus Rift games with a demo, top-selling local-multiplayer games for Linux, or fresh Mac games for $5 or less. Some of the new functionality came out in pieces, but I’ll cover it all so you don’t miss anything. You might notice a content type drop-down at the top of every browse page. 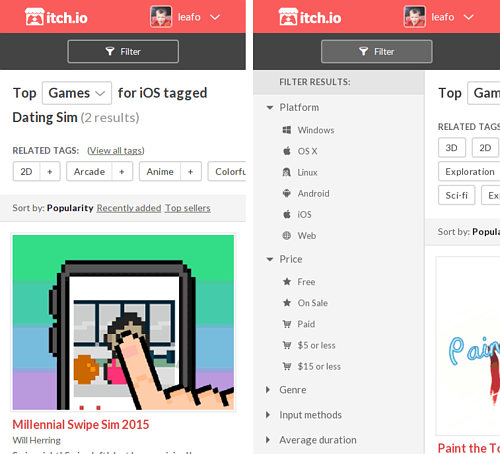 itch.io is more than just games so we’re making it easy to discover all the kinds of creative goods we have. 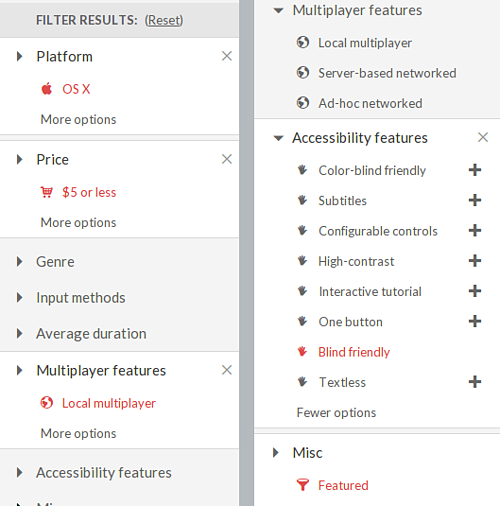 Each option is compatible with all the filtering and sorting covered below. Additionally we’ve added links to all the content types on the homepage to increase exposure. Since we’ve added a handful of game classifications, and uploaders have done a great job of updating their pages, we’ve added the filter sidebar to help narrow down your results. You can mix and match any filters to help you find something interesting. In addition to our standard classifications, we also suggest some tags to filter your results. Tags are different than filters because they’re free-form, so you’re likely to find some pretty interesting stuff. You can stack as many tags as you want. After you’ve narrowed down your criteria try out one of the sorting options. 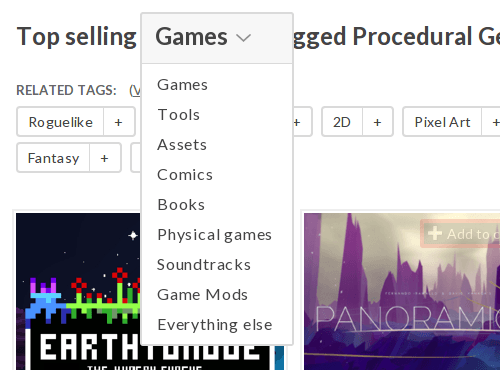 You can sort by most popular (the default), best selling, or newest. You’ll find the option in the top right. Our library of mobile games is steadily increasing (iOS games and Android games), so we’re making it easy to find them right on your phone or tablet. The new browse page will shrink down nicely. 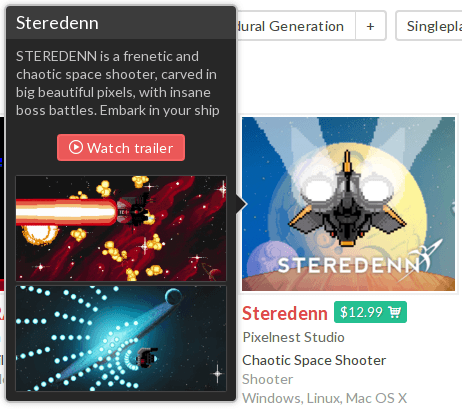 You can now view a game’s trailer without even leaving the page. You’ll find the Watch trailer button right on the game’s popup. That’s all for now, hope you enjoy!